Dyson got into some Major League games last year, as well he might this year. 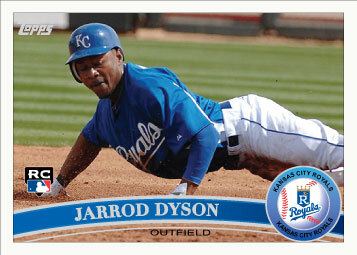 It is however hard to see him on the opening day roster with how packed the Royals outfield appears to be. I like his speed in the lineup but unless he really starts to shine hitting I don’t see him getting a lot of playing time this year, that is, until we trade Melky Cabrera, even then I would rather see Cain in the biggs.